Home/Investigators and Research Centers/Investigators/Daniel Kaser, M.D. Dr. Daniel Kaser, MD, FACOG is an attending physician at Reproductive Medicine Associates of New Jersey where he serves as the Director of Third Party Reproduction, and an Assistant Professor at Thomas Jefferson University in the Department of Obstetrics and Gynecology, Division of Reproductive Endocrinology and Infertility. 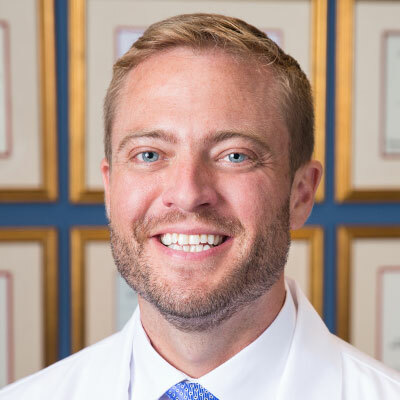 He received his medical degree from Dartmouth Medical School, and completed internship and residency in OB/GYN at Harvard Medical School in the Brigham and Women’s / Massachusetts General Hospital Integrated Residency Program, where he led resident education as the Teaching Chief Resident. Dr. Kaser then continued sub-specialty training at Harvard Medical School as a Clinical Instructor and Fellow in Reproductive Endocrinology and Infertility at Brigham and Women’s Hospital, Center for Infertility and Reproductive Surgery where he was voted outstanding teacher of medical students and residents for four consecutive years. He is a board certified Obstetrician Gynecologist, Fellow of the American Congress of Obstetricians and Gynecologists and member of the American Society for Reproductive Medicine. In 2014 his basic research work in the IVF laboratory earned funding from the National Institutes of Health and the Foundation for Embryonic Competence and was awarded the 2016 ASRM Scientific Program Prize Paper, “Randomized controlled trial of low (5%) vs. ultralow (2%) oxygen tension for in vitro development of human embryos”. A follow-up clinical study at RMANJ, the “LO2 trial, Phase 1” was recognized with the 2017 SRBT Clinical Science Award. Dr. Kaser has been invited to speak nationally and internationally and has authored numerous peer-reviewed publications, videos and chapters. He recently authored the chapter “Assisted Reproduction” in Yen and Jaffe’s Reproductive Endocrinology 8th Edition. He serves on the Editorial Board for Fertility and Sterility, is an Ad Hoc Reviewer for the Journal of Assisted Reproduction Genetics, Reproductive BioMedicine Online, and Human Reproduction and worked as a Consultant for the World Health Organization (WHO) as a member of the Expert Working Group for Assisted Reproductive Technologies. His research interests include oocyte and embryo cryopreservation, third-party reproduction, and maternal and neonatal outcomes following IVF. Perinatal and Peripartum Outcomes in Vanishing Twin Pregnancies Achieved by In Vitro Fertilization. Fertility treatment for the transgender community: a public opinion study. J Assist Reprod Genet, 34:1457-1467. 2017. A pilot randomized controlled trial of Day 3 single embryo transfer with adjunctive time-lapse selection versus Day 5 single embryo transfer with or without adjunctive time-lapse selection. Prospective study of automated versus manual annotation of early time-lapse markers in the human preimplantation embryo. On developing a thesis for Reproductive Endocrinology and Infertility fellowship: a case study of ultra-low (2%) oxygen tension for extended culture of human embryos. J Assist Reprod Genet, 34:303-8. 2017. Oocyte, embryo and blastocyst cryopreservation in ART: systematic review and meta-analysis comparing slow-freezing versus vitrification to produce evidence for the development of global guidance. Hum Reprod Update, 23:139-155. 2017. Assisted Reproduction. Yen and Jaffe’s Reproductive Endocrinology: Physiology, Pathophysiology and Clinical Management, 8th edition, 2017. Eds. Strauss JF and Barbieri RL. Philadelphia, PA: Elsevier. Robotic single-site myomectomy: a step-by-step tutorial. Techniques for enclosed morcellation in gynecologic surgery. Effect of serum progesterone concentration on day of embryo transfer in donor oocyte cycles. J Assist Reprod Genet, 31:569-75. 2014.